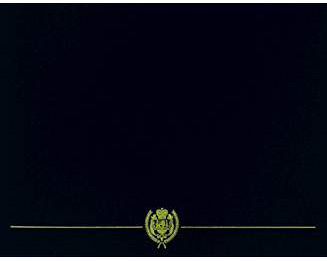 Awarded For Service During the Operation Period, commencing 14 September 2001. Terrorist use of commercial aircraft on 11 September 2001 as weapons of destruction and death required emergency efforts to prevent attacks of such kind in the future. 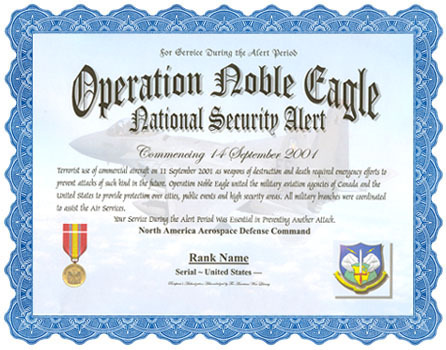 Operation Noble Eagle united the military aviation agencies of Canada and the United States to provide protection over cities, public events and high security areas. All military branches were coordinated to assist the Air Services. Successive Operations names Noble Eagle II, III, IV, continuing. Termination Date: End of Global War on Terrorism Service Medal eligibility.